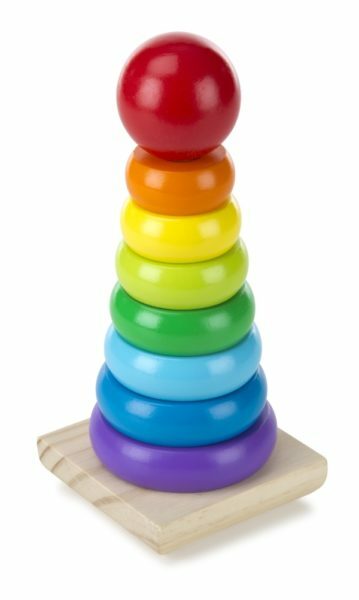 A must-have classic childhood toy, imported, American designed, high quality wooden tower with colored stacking rings. 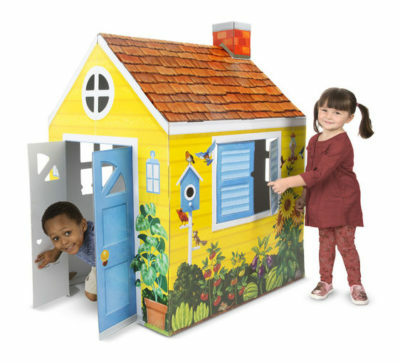 Incredible value and superior craftsmanship make this item a top seller and childhood favorite. Brightly colored, smooth-sanded pieces help build early shape recognition, color and size differentiation skills. 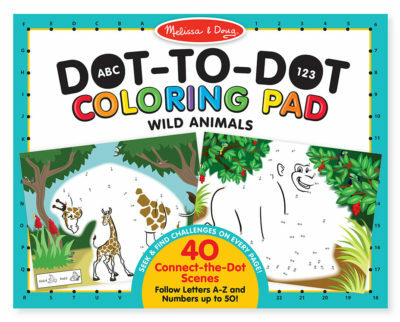 For toddlers this can help to teach them the color order of the rainbow spectrum. 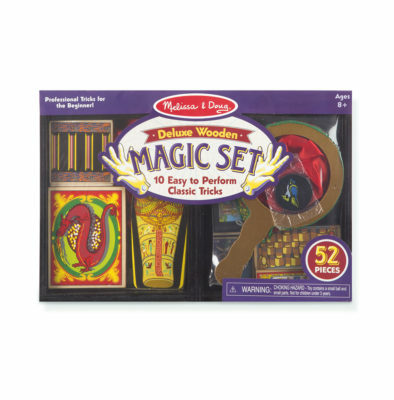 Includes eight smooth, easy-to-grasp wooden pieces to stack on the solid-wood, rocking base. Suitable for ages 18 months and above. Dimensions (inches): 3.5 x 3.7 x 8.5. Weight is 1 pound.